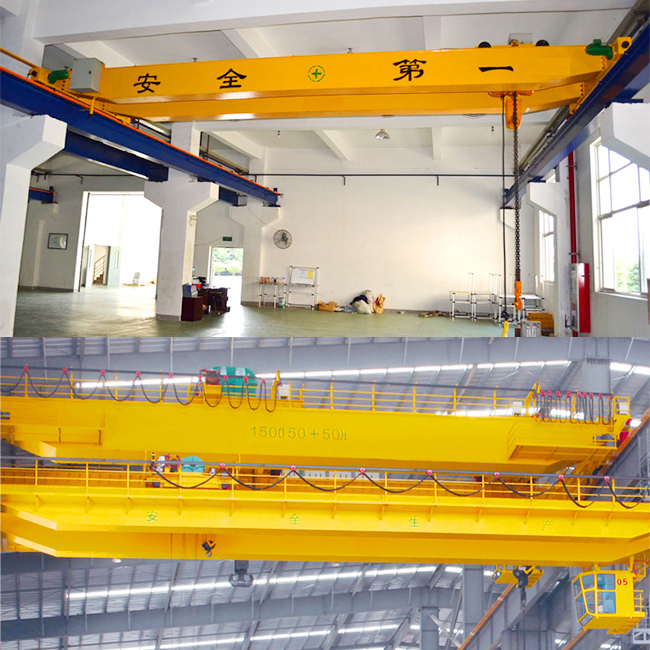 Remote control overhead crane is one of the most commonly used lifting equipment in many industries such as the fabrication industry to load and unload materials. As the name implies, the crane is operated with remote control. During the operation, the operator holds a wireless transmitter and stays away from the loads within a certain distance, such as 30 meters to keep safety. At present, there is a growing number of businesses selecting remote control for their overhead crane as a way to improve efficiency and safety. Therefore, remote control overhead crane is increasingly adopted in a large variety of industries to carry out multiple tasks of moving loads on the ground. 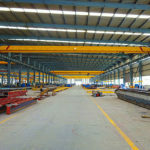 The overhead crane equipment is designed in multiple configurations including single girder, double girder, top running and underhung, and customers can choose the type of overhead crane based on their practical needs. Overhead crane remote control is generally preferred for a wide range of applications to keep the crane operator safe, so it is sometimes a better alternative for pendant control in terms of safety protection. However, in some applications, when it comes to a higher requirement for the lifting capacity and working environment, particularly for transporting large and heavy loads through a long distance or in a hazardous working environment such as steel mills, the cab operation is absolutely the first choice. We have many different types of overhead crane for sale, such as the remote control overhead crane, pendant crane and cab operated crane in terms of operation methods, single girder overhead crane and double girder overhead crane in terms of bridge beams. With technology improvement involving in the crane safety and operational upgrade, the crane operation method has greatly changed. Nowadays, a large number of overhead cranes adopt remote control as a standard configuration with many significant advantages. The overhead crane prices vary in different configurations. We provide various cranes available for many types and applications. If you are intended to buy an overhead crane, please tell us your specific requirement, and we will provide the most suitable overhead lifting equipment or customized solution for you, and offer you the best quotation at favorable cost. 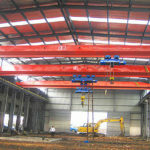 The remote control overhead crane has many advantages. 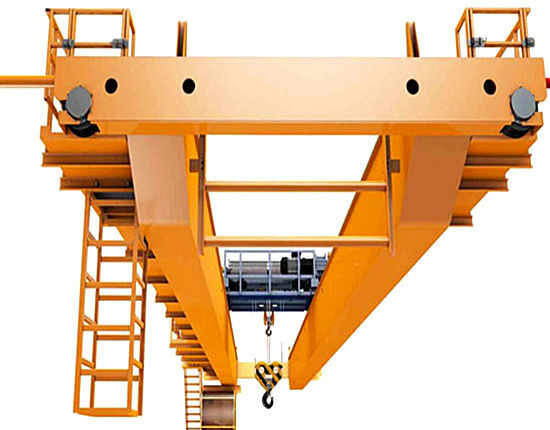 Under the same condition of intended use, this type of over head crane can not only free the operator from the limitation of the cab, such as the visual limitation, but free from the pendant control cables as the long pendant cables have the risk of getting tangled in the crane or other objects, leading to serious accidents. Here are some benefits you should know about remote control overhead crane. The most marked benefit is high Remote control allows the operator to keep away from the heavy loads within a safe distance, creating a much safer working environment and reducing the risk of getting injured. It also offers a better view of the crane surroundings as the operator is free to move around and view the object from different angles, which helps the operator make sure the load path is safe. The remote control improves the productivity and working efficiency. Unlike the pendant control, the remote control enables the operatorto move around easily without concern of pendant cables getting tangled in obstacles. The operator also has a better view of the loads, which helps improve the accuracy of positioning and working efficiency during the crane operation. The remote control helps save manpower and reduce operational costs. On the one hand, remote control requires only an operator during the lifting process without the help of others, whereas the operator in a cab needs the assistance of a worker on the ground to provide other views of the loads and hand signals. On the other hand, the operator on the ground can do other tasks when not moving the loads. But when it comes with cab operation, the operator has to be confined to the cab and performs the sole crane operation. The overhead crane remote control has long service life and little maintenance cost. Unlike the pendant control, it has low cost without the need of frequent replacement. Remote control can be used for many years without damage except for the human factors. To learn more about how to operate overhead crane or which operation method is right for you, please contact our sales team and technical team right now. 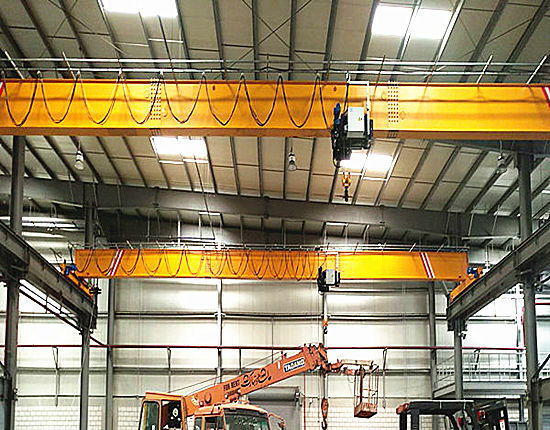 A well-performed overhead crane is critical for your business, so when you are looking for overhead crane lifting equipment, you should take several things into consideration including the crane quality, service, cost and the like. We are highly qualified overhead crane manufacturer and supplier in China with over a decade of design, manufacturing and service experience. We provide service guarantee with professional pre-sale, sales and after-sale services. We have an experienced technical team with several engineers to provide ongoing technical support and service. In the event of crane breakdown, we can provide maintenance guidance and if necessary onsite technical support and service. If you are looking to buy a remote control overhead crane, contact our sale representative online. We are willing to cooperate with you and establish a solid business relationship by virtue of our high quality overhead crane, best service, and competitive cost!